We are a global movement of consumers, storytellers, fashionistas, designers and bloggers united by the belief that every Vlisco product is connected to a story. Vlisco fabrics are named not by Vlisco itself, but by consumers. However, not every fabric has a name (or we don’t know it yet). Because people don’t talk about numbers when it comes to fashion and clothing, we believe that the naming tradition will live on. Vlisco fabrics often have a meaning attached to them. Vlisco Stories facilitates the sharing of knowledge, feelings, emotions and experiences around Vlisco fabrics and the naming tradition. 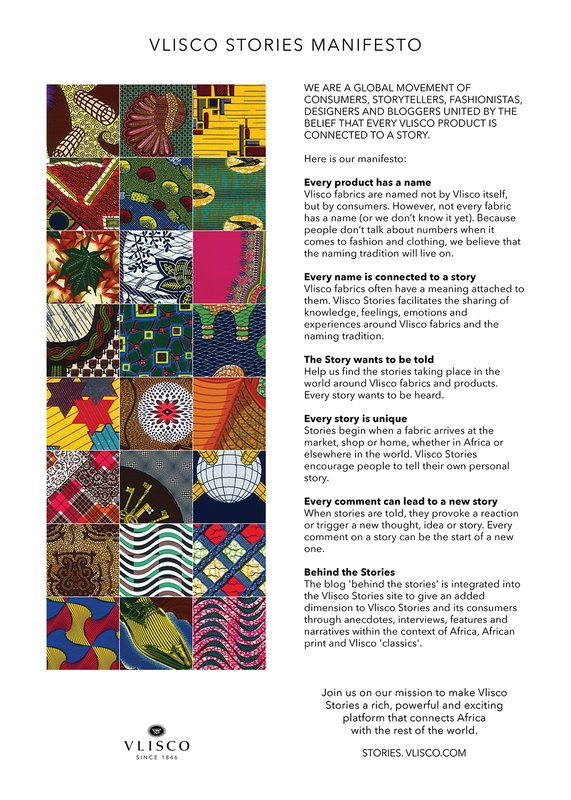 Help us find the stories taking place in the world around Vlisco fabrics and products. Every story wants to be heard. Stories begin when a fabric arrives at the market, shop or home, whether in Africa or elsewhere in the world. Vlisco Stories encourage people to tell their own personal story. When stories are told, they provoke a reaction or trigger a new thought, idea or story. Every comment on a story can be the start of a new one. 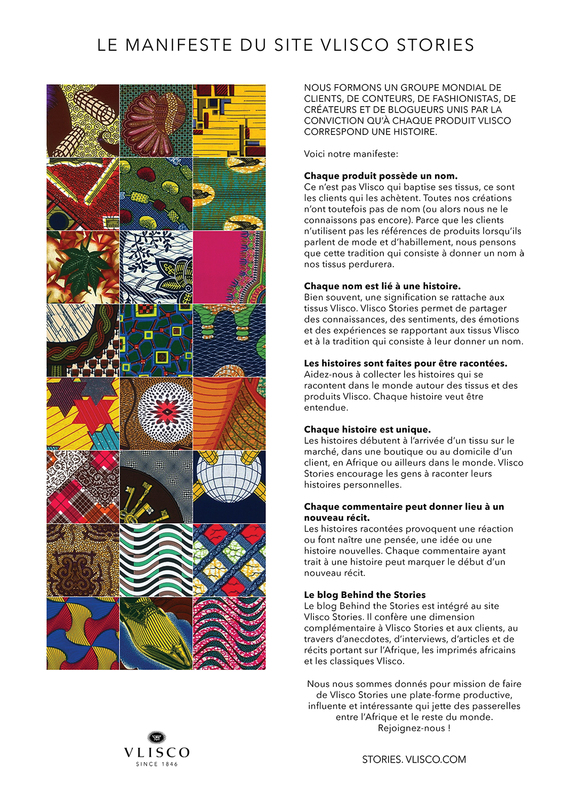 The blog 'behind the stories' is integrated into the Vlisco Stories site to give an added dimension to Vlisco Stories and its consumers through anecdotes, interviews, features and narratives within the context of Africa, African print and Vlisco 'classics'.